Planning activities for your reunion is essential. That does not mean something for every minute because visiting and catching up are always as important as structured activities. But as you plan, keep in mind ages, abilities and interests of your members. Be sure to include some activities just for kids and some things that force all ages to mingle and get to know everyone. Each family unit competes against others in a treasure hunt, crossword puzzle, trivia game or bingo. Clues should be about family members. The winning family must host the event or plan next year’s game. Make a traveling trophy for the winning family. Have decks of cards on hand, cribbage, chess and checkers or games a group can play. 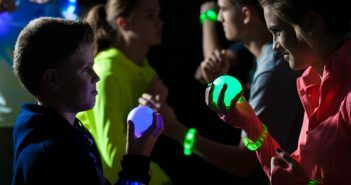 These will appeal to those preferring a break from more active games and will also attract onlookers. Friendly games, competition and tournaments are common to all reunions. 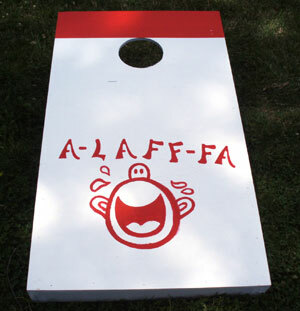 Some ideas for clowning around at reunions include tossing ping-pong balls into goldfish bowls, and a knock ’em down competition with stuffed toys as targets. Takes a little planning up front, but these kinds of activities will get everyone laughing. If your reunion meets regularly, consider investing in games you know everyone enjoys or is willing to play. Look for games appropriate for all ages and get everyone involved in some way. In fact, keeping score or maintaining game statistics is a great way to include those whose age or ability prevent them from playing. Games for which you should have equipment are football, soccer, volleyball and softball. 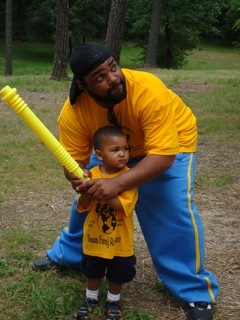 Each of these games offers serious exercise, competition, fun and an opportunity to use lots of energy to let off steam. During the years when there are Summer Olympics, many reunions do a series of competitions with medals, ribbons and bragging rights as the payoff. Establish your own family Olympics. Create contests — sack races, 50-yard dashes, checkers games, card tournaments, a family trivia game — for all ages and abilities. Award medals in a ceremony. “Olympics” should incorporate silly and truly athletic events with mixed age/gender teams. 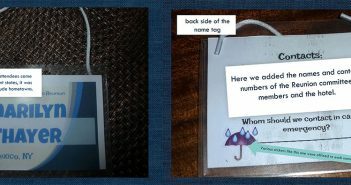 Each team decides on a name/country/symbol, and perhaps even decorates a flag. Everyone can participate by cheering teammates. Tag, Mother May I, Red Rover,1-2-3 Red Light, Kick the Can and Duck-Duck-Goose. Bring back memories? There were so many and we all had our favorites. Gathering with neighborhood kids or during family get-togethers, someone would always suggest one. You played until dark or until you heard your name called for supper. During a recent family reunion I decided to revive some of those games. It was a memory I felt needed rekindling. Observing my nieces, nephews and cousins with their laptop computers, handheld electronic games and cell phones, I realized they didn’t know how to play outdoor group games. Oh sure, they could toss a baseball or shoot a basketball, but they couldn’t play a game together with all ages involved. In other words, these kids, most under age twelve, were totally out of touch with each other. I decided not to tell the adults about my plans and gathered my young students together. Initially, you would have thought I was suggesting they participate in an ancient ritual. I finally rallied about ten of them reluctantly into a game of Duck-Duck-Goose. Soon, groans and long faces were replaced by squeals and laughter as they relaxed and enjoyed themselves. Gradually teenagers and adults joined in. That June afternoon, a cow pasture was filled with adults and children, all laughing and sharing activities that had nearly been forgotten. The childhood games of the baby boomer generation have been replaced by electronic gizmos. We failed to pass the games to the next generation. Don’t worry about forgetting rules, there will be someone who remembers. So at your next reunion, share one of your favorites. After all, someone shared them with us. Patti Perry-Armes began writing short stories in high school. After a 30-year hiatus, she won first place at The Tennessee Mountain Writers conference this year. She lives in Knoxville, Tennessee, with her husband of 20 years and their five four-legged furry children. Golf is very popular at reunions. 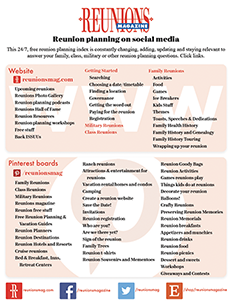 In fact, according to our surveys, 20% of all reunions include a game of golf. More ideas for golf at reunions can be found here. We wonder, like everyone else, where to find reunion extras. Finding equipment or games for activities can sometimes be a mystery. Here are a couple of things we found that might make your search easier. Many games for outdoors come in well-constructed, portable cases for easy storage. We’ve seen horseshoes, croquet, bocce ball and badminton in just such packaging at Target, for around $30 each. Someone recently emailed to ask where to find burlap bags for sack races … a common reunion activity. We used to get sacks to cover the garden in winter from a chocolate company. When they got wet, these sacks smelled of their former sweet contents. Our correspondent eventually found burlap bags at a coffee roasting company. With coffee roasters more prolific than ever, this should be a productive lead. We also discovered some resources in the Restoration Hardware catalog (www.restorationhardware.com). They sell a bingo set with a wire cage that jumbles 75 maple balls and includes 250 plastic disks to cover letters and 25 sturdy, reusable cards and a masterboard. This would be a good investment for many reunions. The same catalog had a product called Family Band. It looks like a fun starter kit for families into making music. Whether rehearsed or improv, your family might be enchanted with the collection of bongos, ruthromel and stick, box shaker, snocker, tambourine and maracas. Make a joyful noise.